The entertainment industry faces a tough audience who demands, more than ever, more dynamic, colorful and instant content to keep them interested . Below is a selection of different entertainment sectors that all benefit from the addition of digital signage. 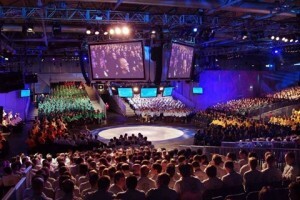 Exhibition centres attract thousand of visitors each year. From trade shows to live events, these venues entertain a massive number of people that visit them each year. The National Exhibition Centre (NEC) based in Birmingham, is the largest venue in the UK and one of the largest in Europe. Attracting visitors from all over the world, the NEC delivers a variety of exhibitions and top name entertainers. 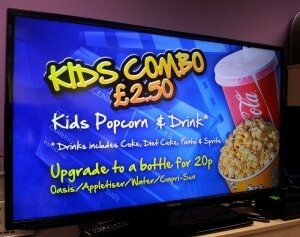 Keeping their visitors informed is paramount and the use of digital posters and large format LED screen provide this. From way finding to special offers on hot food to upcoming events and ticket promotions, the NEC provides high impact content that keeps its visitors informed and entertained. 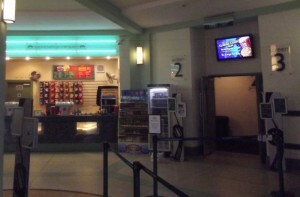 Digital signage system can be used to broadcast live games or action replays on large LED displays. don’t miss any of the entertainment while they are standing in line. 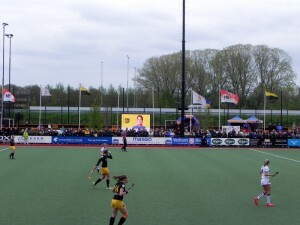 A digital signage system is a perfect medium for promoters and sponsors to build their brand image by displaying ads during the match and at set intervals. Sports bars can use digital signage to broadcast sports games on large screens and video walls to create maximum impact and drive excitement within their establishment. 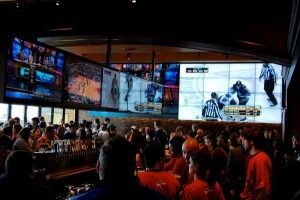 Live sporting events can be shown alongside advertising promotions for food and beverages that can drive up sales. Also some bars also provide Interactive games that can also be an added attraction to keep customers entertained and engaged with prizes and promotional offer codes that can be redeemed at the bar.